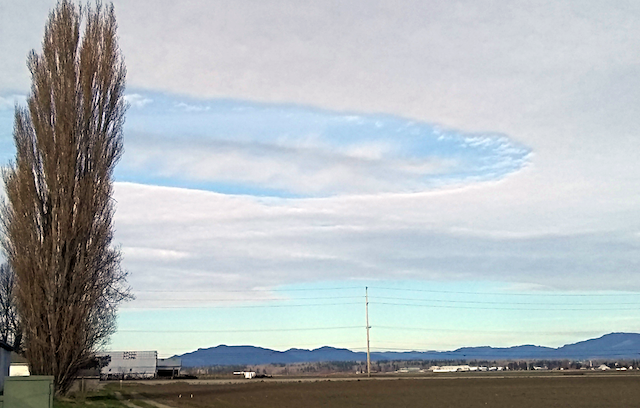 UFO SIGHTINGS DAILY: Mile long UFO holes in clouds over Washington state on Jan 28, 2019, Photos, UFO Sighting News. 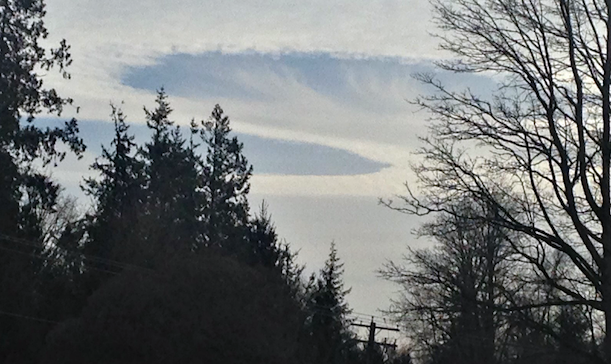 Mile long UFO holes in clouds over Washington state on Jan 28, 2019, Photos, UFO Sighting News. On Monday many eyewitnesses saw large round openings in the clouds that appeared to be pushed aside, leaving only a rounded hole in the clouds and a lower thin line of clouds at the center. I believe these holes are made by large cloaked UFOs that come very low to scan the residences on the surface below. 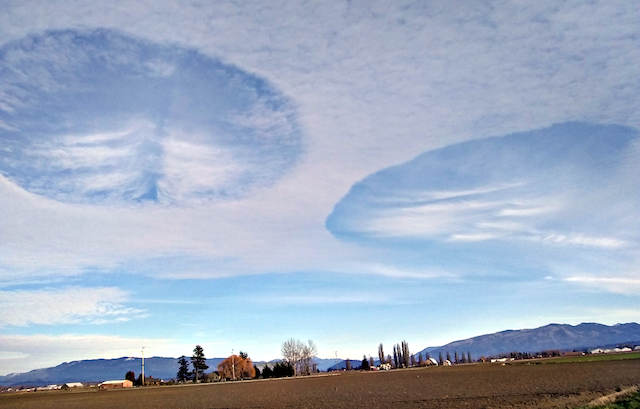 Did you notice the line of clouds at the center that are pushed lower and spread out as if surround the bottom of an invisible disk? 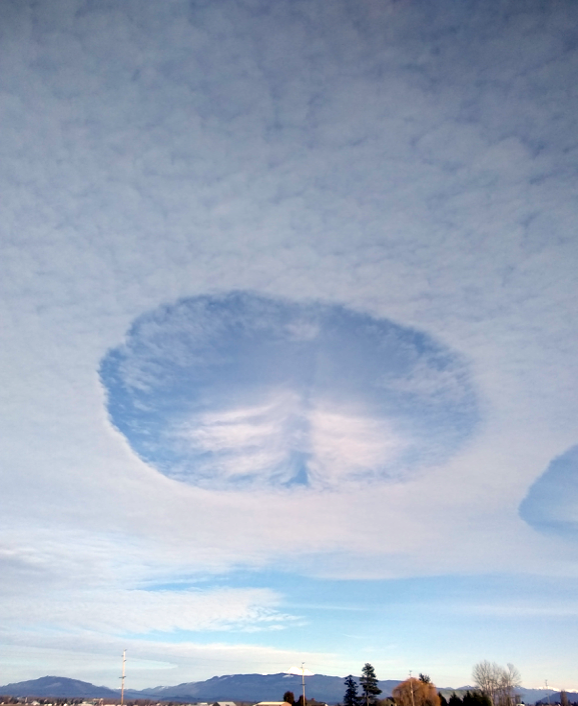 How did I learn that UFOs make hole in clouds? I learned that from a MUFON 80 page report of the famous UFO over O'hare airport back in Nov 7, 2006. 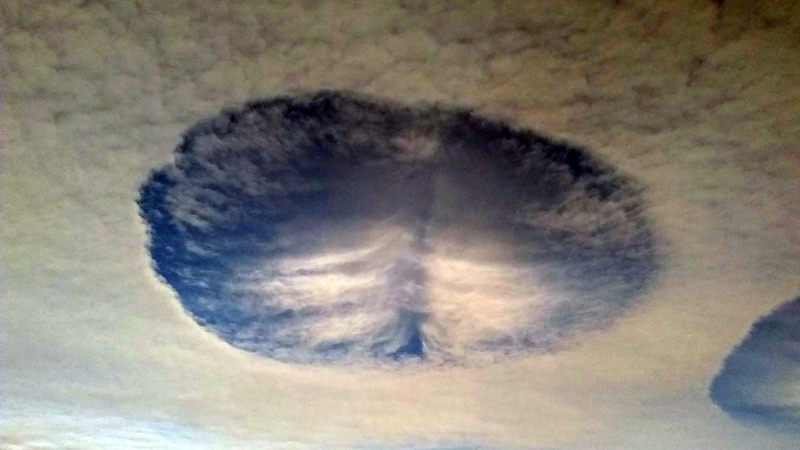 It states that dozens of eyewitnesses working for the United Airlines saw the metallic disk sitting there over Gate C at the airport, but below the clouds, then after about two to three minutes, the UFO shot off upward throughout the clouds leaving a hole in the clouds that remained visible for almost 15 minutes. 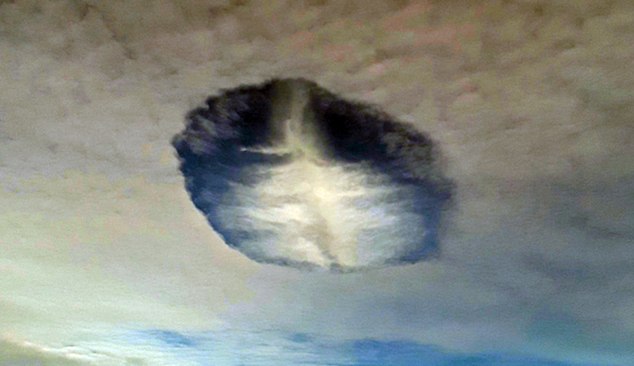 When pilots and experts working for the airline witness such UFOs close up, I listen.